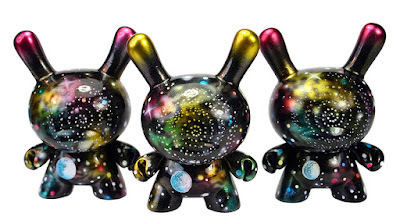 Later today, Corner 12 will be releasing this beautiful Galaxy Dunny Custom Series by artist Mark Nagata. Finally, Kidrobot's Dunny has made it into Space! There will be 12 Martian Monster Edition Galaxy Dunny vinyl figures available tomorrow. Each comes hand painted by Nagata and stands 3” tall. 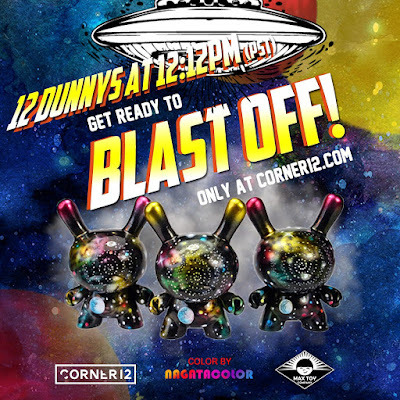 This run of custom Dunnys marks the first release in Corner 12’s new curated series “The 12’s”, and The Blot can’t wait to see what’s coming next! Collectors can purchase these stunning Galaxy Dunnys at 12:12pm PST today, Friday, March 17th, at the Corner 12 online store for $200 each.